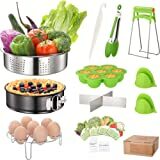 Sold by My Party Stuff and Fulfilled by Amazon. Gift-wrap available. 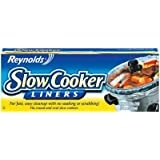 Amazon's Choice for "crock pot liners"
Sold by My Party Stuff and ships from Amazon Fulfillment. 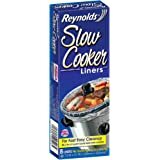 Kitchen Collection Crock Pot Liners 10 Bags 14"x18"x4"
"REYNOLDS" SLOW COOKER LINERS 13" x 21" Fits 3 to 6.5 quart round and oval slow cookers For fast easy clean up with no soaking or scrubbing Plastic 4 liners per package Boxed New item makes slow cooking easier by eliminating clean up. 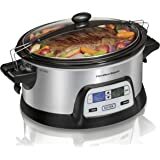 Every slow cooker purchaser should buy this product. 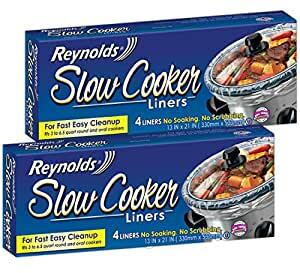 If it were possible I would give these Liners 10 stars. Of all the hundreds of items I have purchased from Amazon, I rate these liners as the second best buy ever. ( I think purchasing Amazon Prime has been a great investment.) 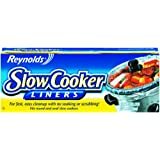 These liners take the mess out of using a slow cooker. 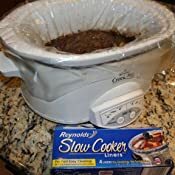 I like to make stuff in the slow cooker but I hated cleaning up the mess. 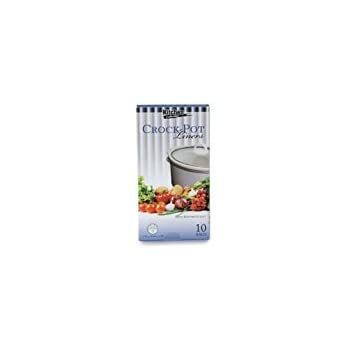 The cooker has always been too big to be easily washed but with these liners no problem. When you are done you simply lift out the bag and throw it away with all the mess inside. 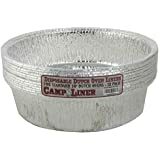 I have never had any problems with the liners getting punctured or tearing even when cooking the entire time on High. 5.0 out of 5 starsWorks like a charm! And to think ... 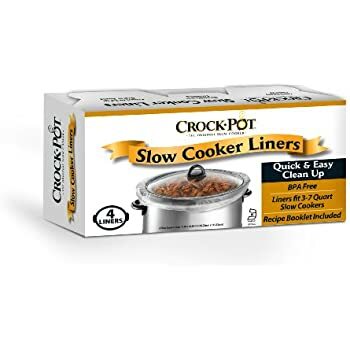 I've been using my Crock-Pots for years without liners! 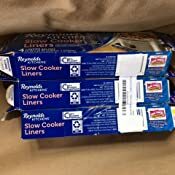 ::sigh:: Be advised, I've only used these liners three times so far, but it's like magic: get the food out of the liner, pull the liner out of the crock, and throw it away! Done! No mess, no fuss. 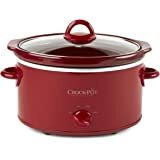 There was a little bit of condensation on the bottom of the crock, so a quick wipe with a paper towel did the trick. I made three different thick soups and had to stir occasionally ... used one of those nifty plastic spoons ... these liners remained intact, no tears anywhere. I would imagine if you used metal, you might not have the same outcome. You can bet I'll buy these again! 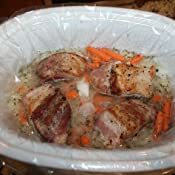 Crock pot cooking is usually pretty easy ... liners make it even easier! 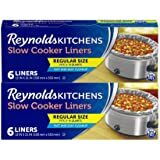 Note: I use an oval 6 qt Crock-Pot and these liners are just fine. 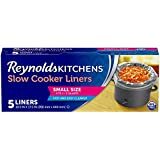 These work pretty well and sometimes (but not always) obviate the need to wash the slow cooker pot. 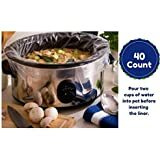 Sometimes they work perfectly well and prevent even a drop of food from getting into the pot, while other times some food seems to leach through. As far as I can tell they are more likely to leach when the food is left for a long time or cooked on high heat. 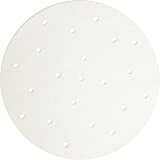 The reward of a mess-free dinner is worth the risk of money wasted on the occasional ineffective liner, but purchasers should be aware that these are not perfect. The entire purpose of the product was to keep the food and juice inside the bag and it literally did the opposite. The juice seeped out and burned onto the side even with the glorified plastic bag firmly in place. Had to scrub even harder with this on. Don't waste your money on the product. 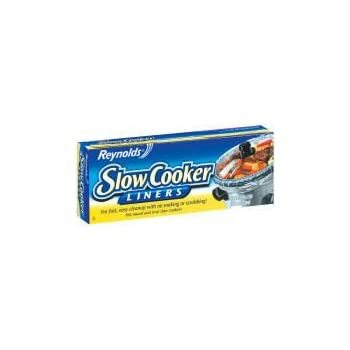 I bought these for my slow cooker(obviously) and they are completely cheap! 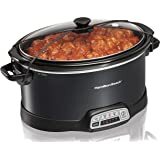 I used one and noticed that stuff still leaked into my slow cooker, I figured it was faulty so next time I used one I paid extra close attention and found that again, it leaked into the bottom of my slow cooker. 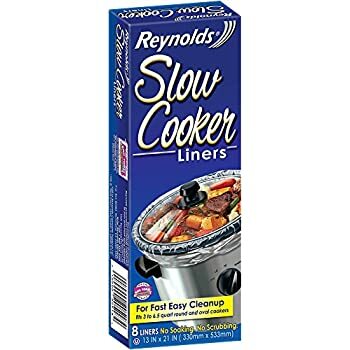 It was on low but the liner seemed like it was falling apart and sticking to my slowcooker and I’m nervous about the safety of these and if there ended up being plastic in my food or not. Whatever you do, save your money. Terrible. 4.0 out of 5 starsDefinitely an improvement! 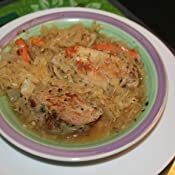 For two weeks straight I made our evening meals in the crockpot. We were visiting our daughter and I volunteered to make meals since everyone else was working long hours on a construction project. 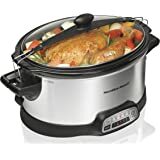 Using the crockpot was perfect because there was never an exact time when the work would be done for the day and it was extremely hot. 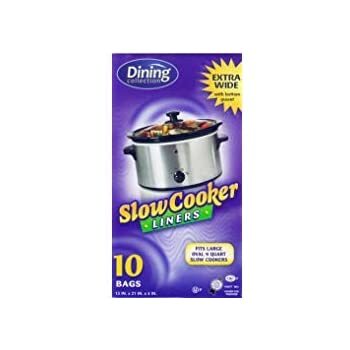 After a couple days of scrubbing the crockpot I got smart and ordered these. They were a big help. 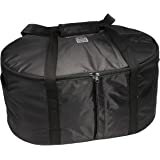 Negative was that we had to be careful not to cut into the bag when dishing out the food and, leaving the crockpot on too long would make the bag weaker. 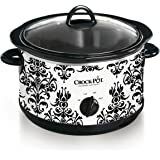 But even when it did leak a little it was still a much easier to clean the crockpot. Plus, we learned to be a little more gentle scooping and that was the end of cutting into the bags. With the more solid foods we could even just lift the bag and put it in the refrigerator to be heated up another day. Saved time and me cleaning a yucky mess every night! So far they have leaked every time I've used them.